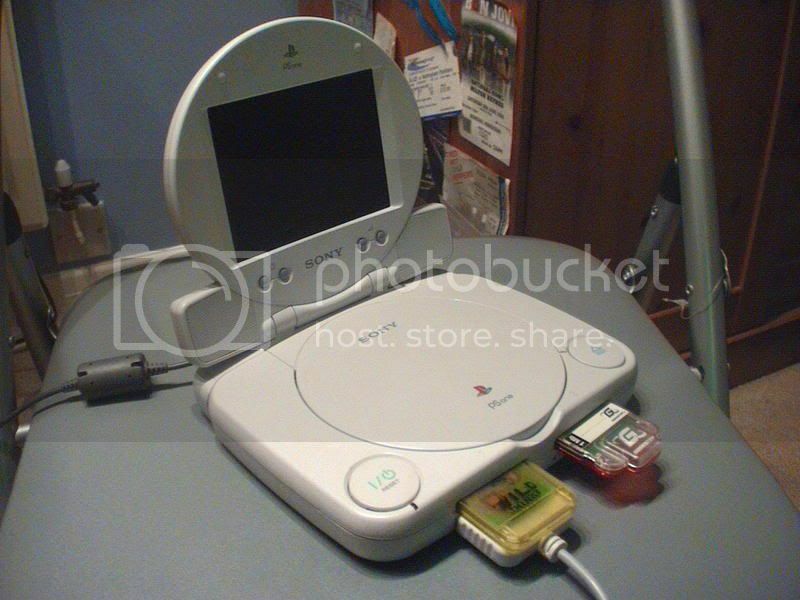 I've always thought of getting one before I got a PS2 as a birthday gift. Even though I have other means of gaming on the go than this screen would offer me, I still have an interest in tracking one down just for the sake of owning one. I only hook up consoles with the the regular component cables packaged in, so I don't have a grudge with a lack of serial ports or anything until I get some newer TV in the future. He means serial in terms of the PS1 link (or combat) cable. Useful for system linking two Playstations for Armored Core, Command and Conquer, Doom, R4, Decent Maximum, and a few other games. 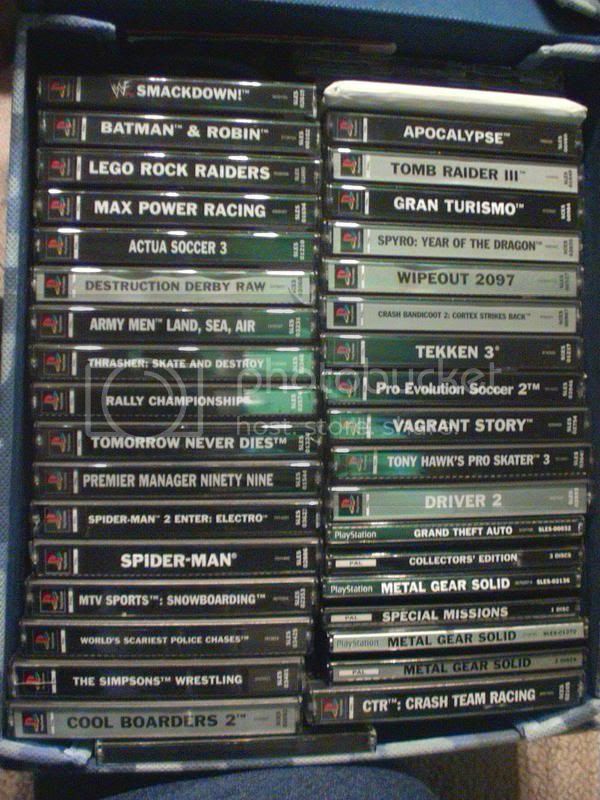 I actually have two, one official and one third party that I bought for $2 a piece a few months ago, but I haven't been able to find anyone in my area with an older PS1 and copies of any of the games. The only ones I have myself are R4 and Ultimate Doom. I had a PS1 and screen for a while a few years ago, and gave them to a friend of mine when I had to move. Games really do look nice on the screen since it's smaller, and very sharp. 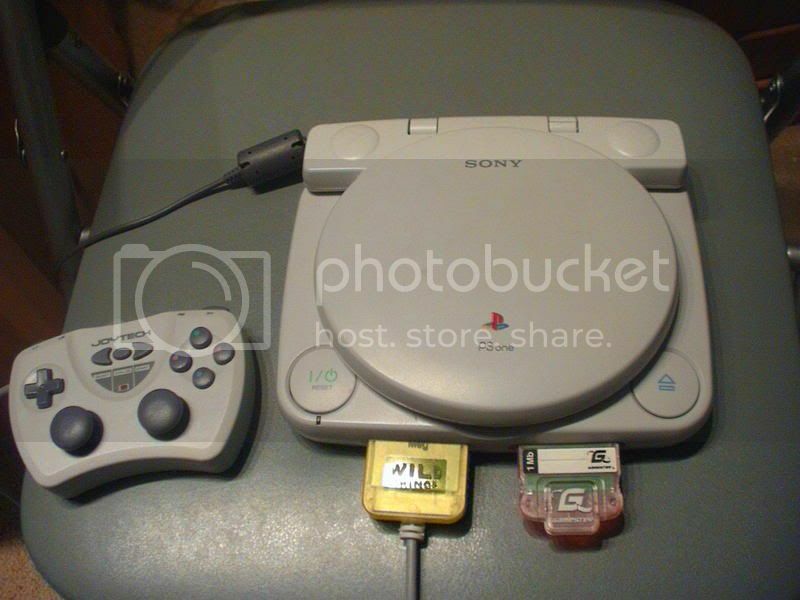 Also, it uses the normal Playstation AV/multi out, which means the only thing that is stopping you from using it on a PS2 is the bottom piece of plastic, which can be removed. You can also plug any other input in if you have a converter to use the AV connection minijack on the back. I found a bunch of PSOne AV connection cables for $1.99 a piece on clearance at a K-Mart a few months ago. Hey I got my PSone out again and have been playing vagrant story and THPS3 amongst others . 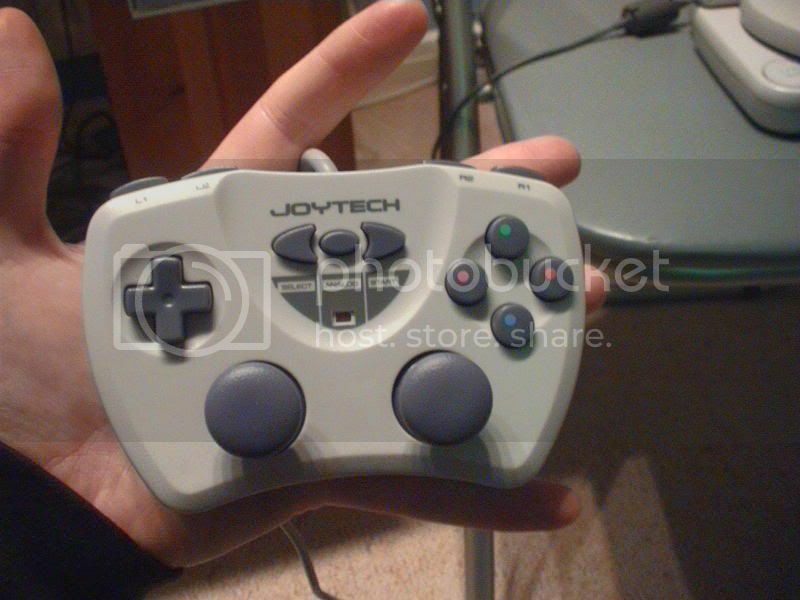 I bought a "mini" controller for it which is really nice, its about two thirds the size of the official and operates nicely. Im hoping to get a few games sicne I've got it out. 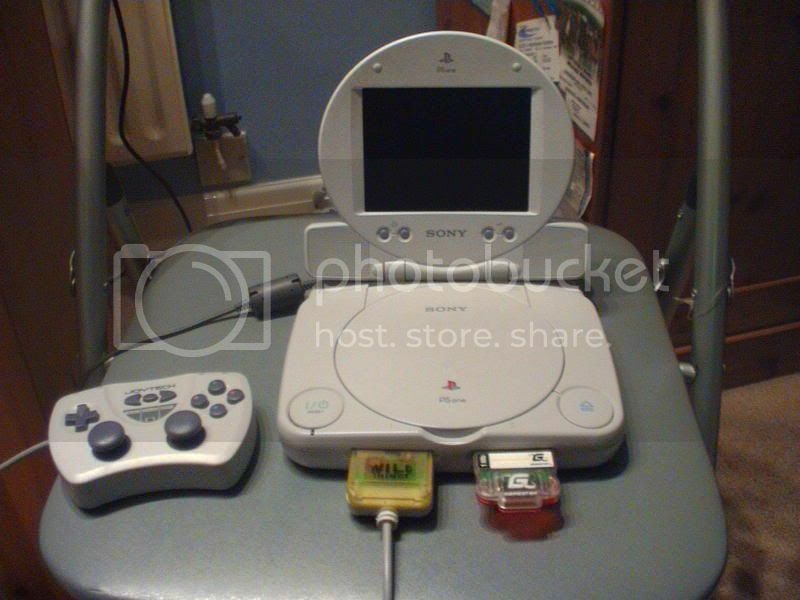 Lozz, does the memory card in the right slot of your PSone work for ps1 games on your ps2?